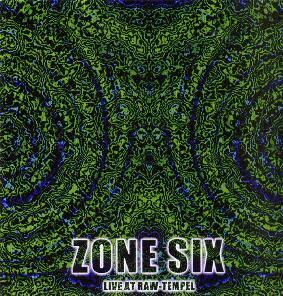 Zone Six - "Live at the Raw-Tempel, Berlin 2002"
This show is a high quality soundboard recording that the band has released on CD-R of their performance opening for Mr. Quimby's Beard back in April 2002. The 4 long improvisations are all entitled "Bla". The opening track, "Bla", is a very CAN inspired track with some really cool electric piano lines and drumming that slowly builds up. The guitar is barely audible, which is a pity. "BlaBla", track 2, is a really dreamy track. "BlaBlaBla" is a really jammy track with some cool guitar that you can hear before the synth player kicks in and the guitar falls to the background. It builds up into an almost funky groove. The last track has a very strange beginning but develops into an Ozrics groove as the band moves into space. It is a very cool performance. It is just too bad that the guitar is often way too low and gets overwhelmed by the synthesizer. Check out their web site as they also sell 3 other live shows.